It sure was a fun class! - Really interesting for me too, so thank you for all the cool comparisons!!! You are now welcome to do graduation video showing what you've learned, summing up what are best options for your dog. You can post graduation videos at any time as this page stays open for ever, but gathering likes starts whenever it's posted. The one who gets the biggest number of likes (only "likes" on this website count - those given directly on YouTube and Facebook don't count to make it easier to track) by November 7 gets a free next class of their choice - And the next three get a free download link to a training video of their choice! Thank you for such a great class, Silvia and classmates! Beyond-foundations class was so interesting for Nao and I. To increase the speed at the beginning of the sequence, analyzing the lines of the dog, etc. 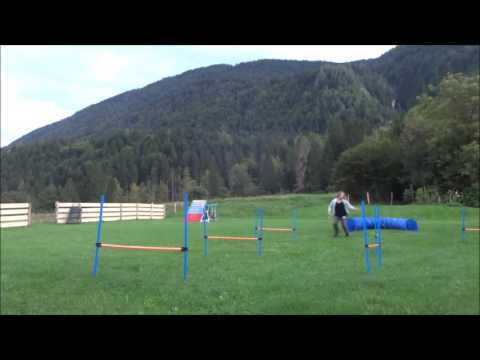 I hadn’t done such detailed things about dog agility. It was new to me. Other student were so skilled that I was inspired. I will try sequences that I couldn’t complete, and try all sequences with fastest options. In my graduation video, there is no beautiful scenery, just Nao and I are struggling for agility. But I felt that Nao certainly grew up through this class. Thank you again and see you at RC and handling class! I see no struggles -- just GREAT teamwork and very skilled youngster! You’ve done such a great job with Nao, congratulations!!! Here is Hihi’s Graduation video! Thank You Silvia once again!<3 We really love your classes! Go Hihi!!! Really cool video -- and really cool dog! 🙂 Such a joy to see her run, she sure always gives it all! 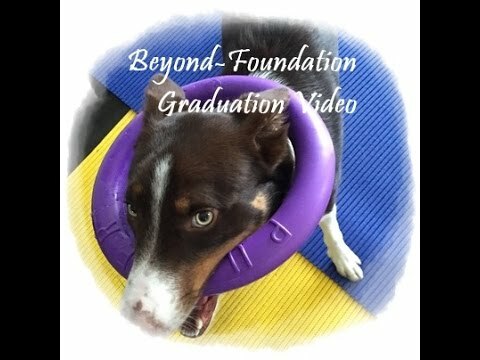 Here is Reno’s graduation video. 🙂 Thanks again Silvia for all of your help. This class was for sure one of my favorites. We both learned so much in just 5 weeks! And a huge thanks to the many talented classmates here for inspiring me to be a better handler. You two sure came a long way!!! Was great following Reno on his journey -- you did such a great job with him! Mortti sure has amazing skills for his age! I’m sure trials will be super fun with him! See you in Handling!!! You two sure did amazing progress!!! Dizzy is sooo cool -- looking forward to follow him further in RC!